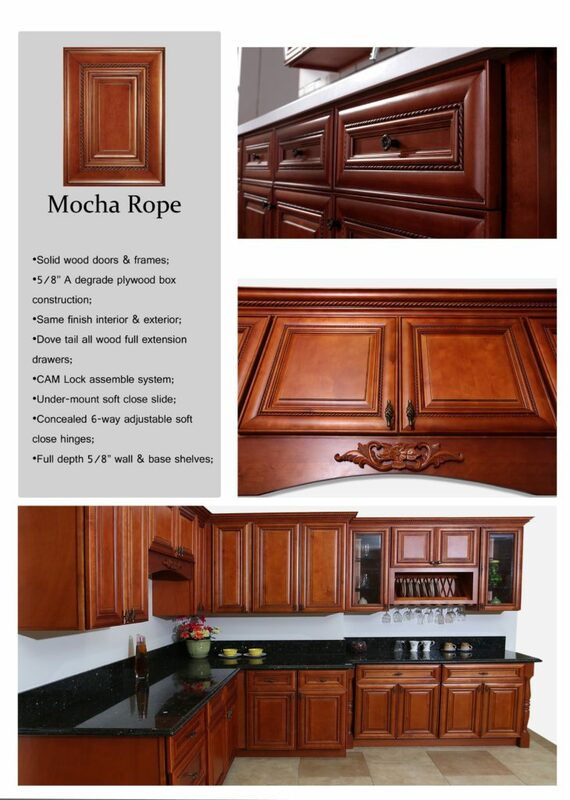 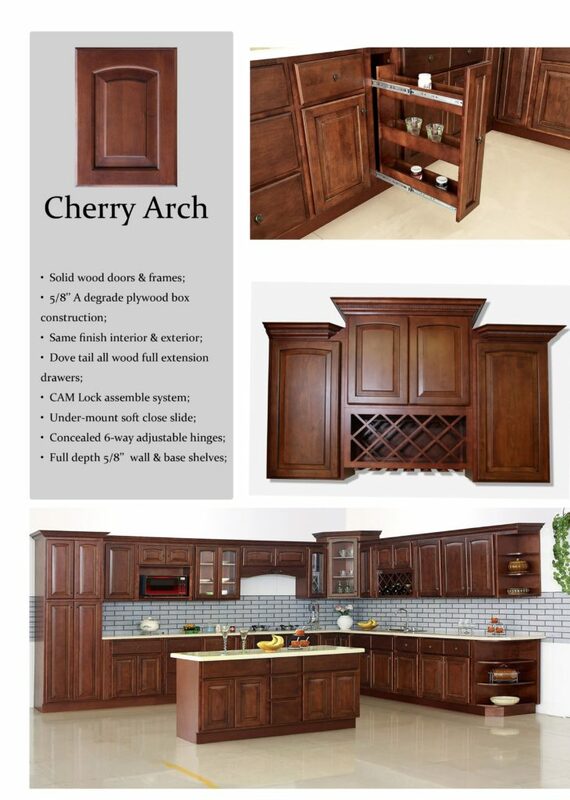 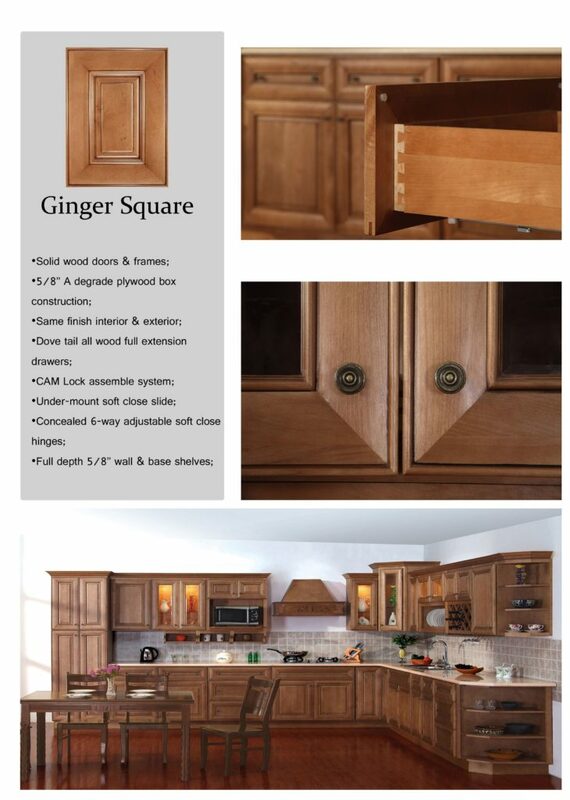 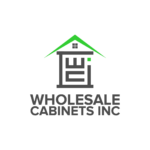 Wholesale Cabinets Inc proudly presents our California Collection. 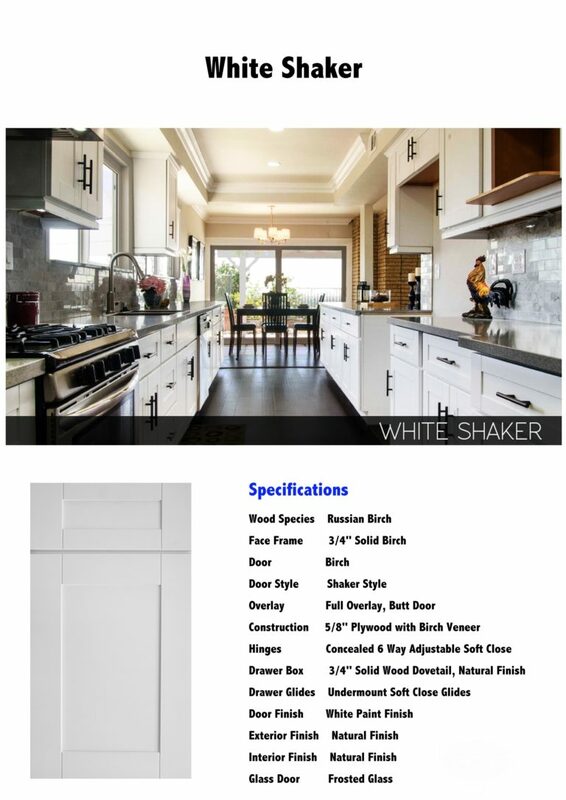 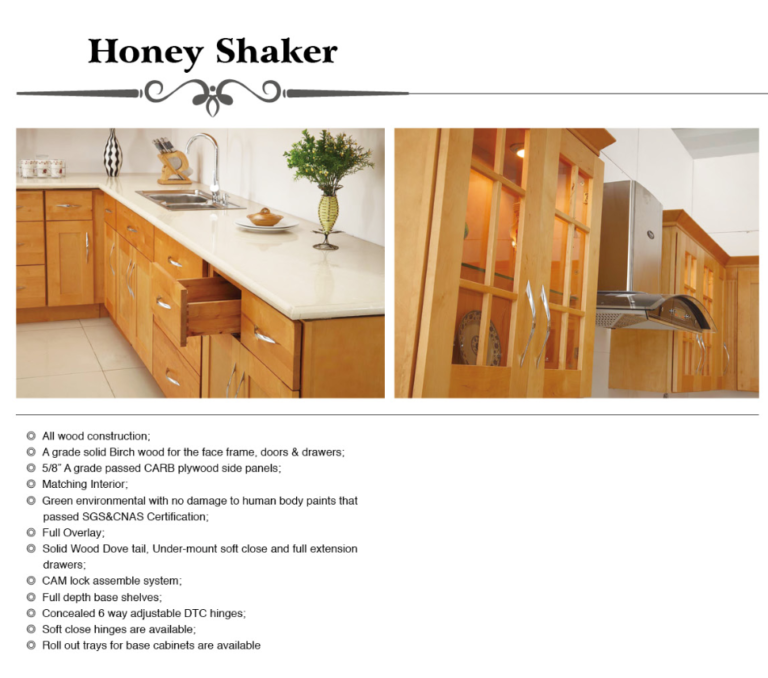 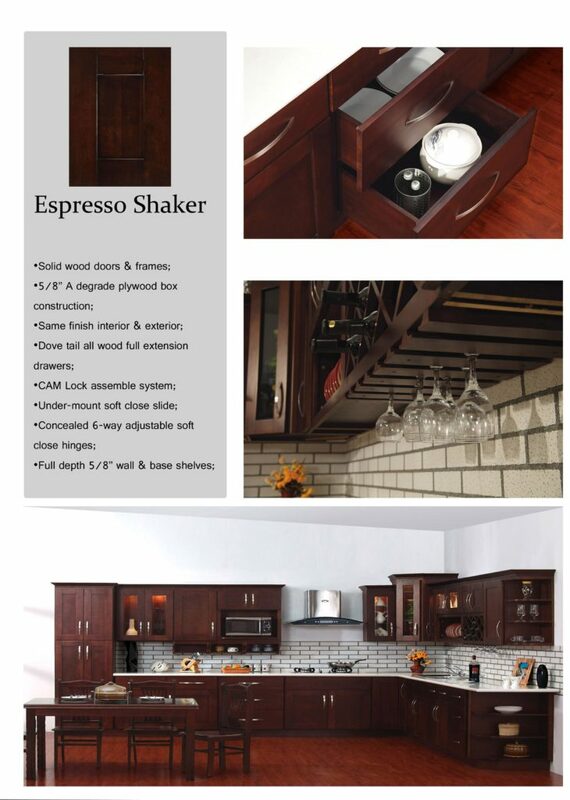 This line of cabinets offers a wide variety of shaker and raised panel cabinets. 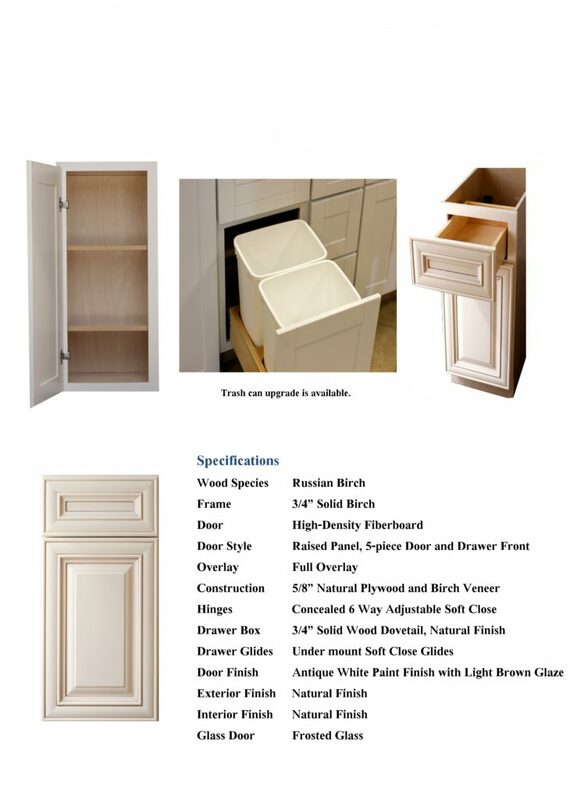 This collection offers the most customization options for stock cabinets. 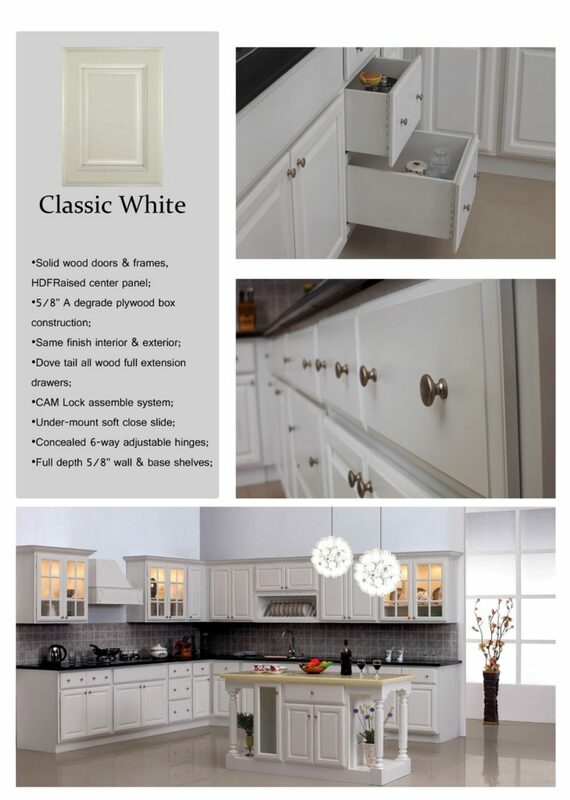 Features such as soft closing doors and drawers come standard. 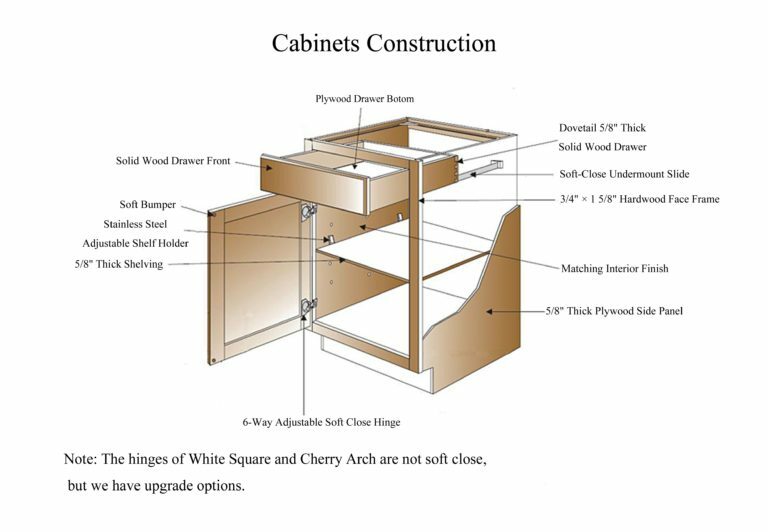 Our cabinets come with ZERO particle board, we use plywood and solid wood instead. 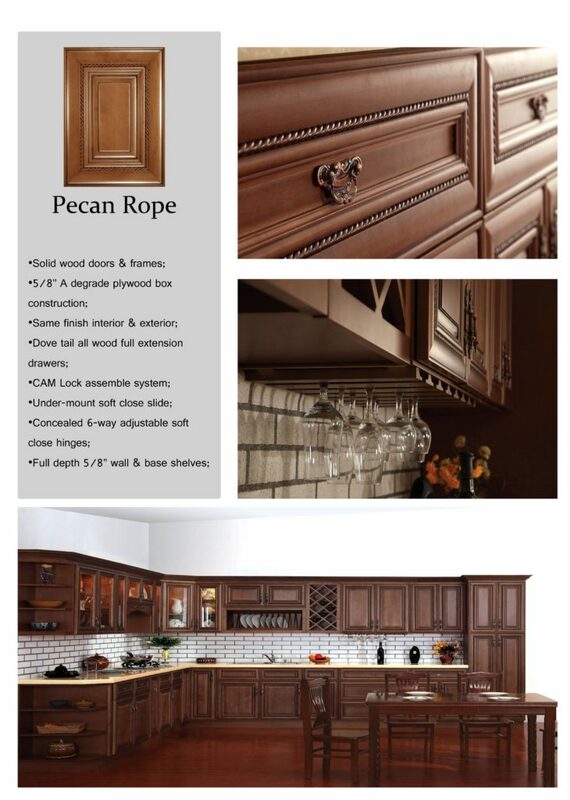 Accessories such as wine racks, plate racks, posts, corbels, decorative doors and decorative panels are also available.